Show off your wilderness survival skills using this fixed blade, black stainless steel knife! 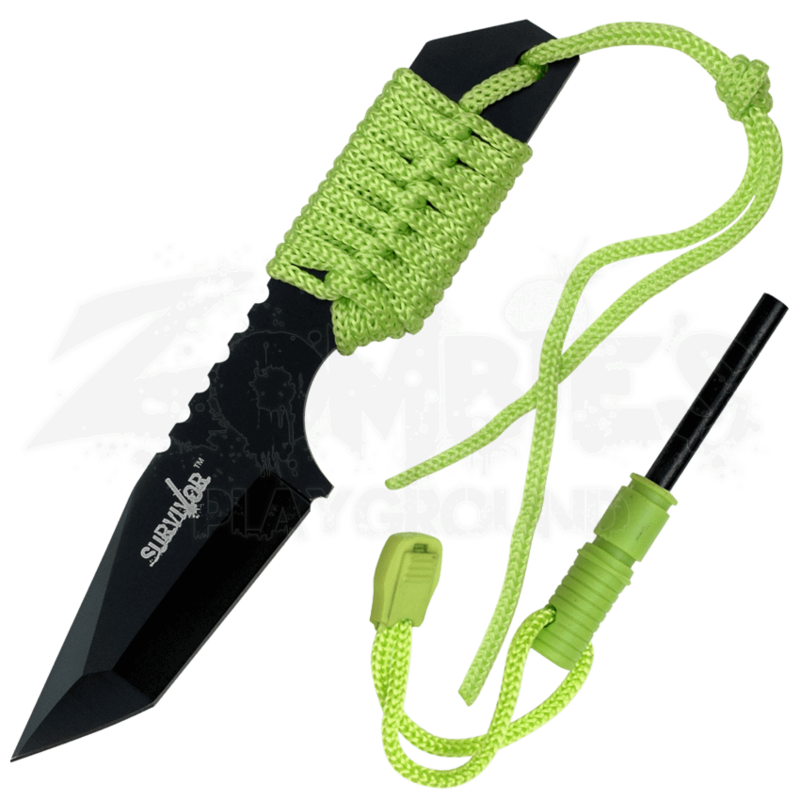 The Black Survivor Tanto Knife possesses a full tang, 3-inch blade and a bright green cord wrapped handle. This sharply pointed blade may enable your survival with its fire starter, which works with the blade to produce sparks. The nylon sheath makes this knife eminently portable when you are backpacking. Though only 7 inches, this knife packs lots of functionality into its form!